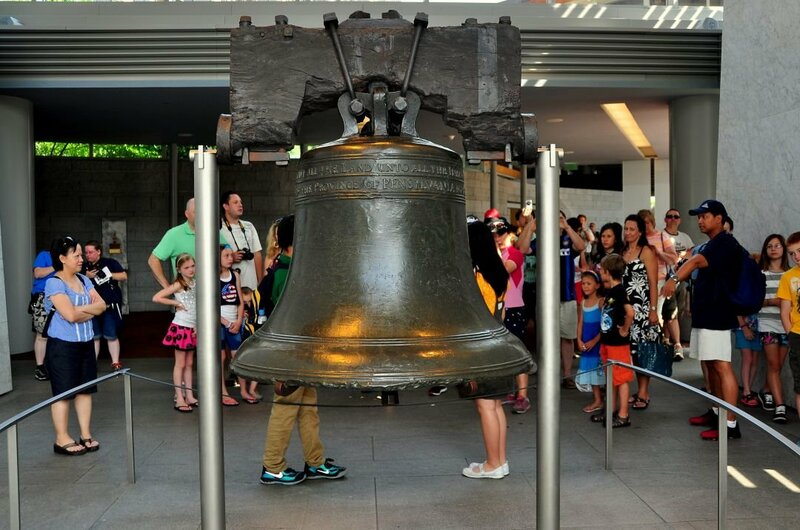 When you take a Private Tour of Philadelphia, you are visiting a destination that is filled with many wonderful sights. 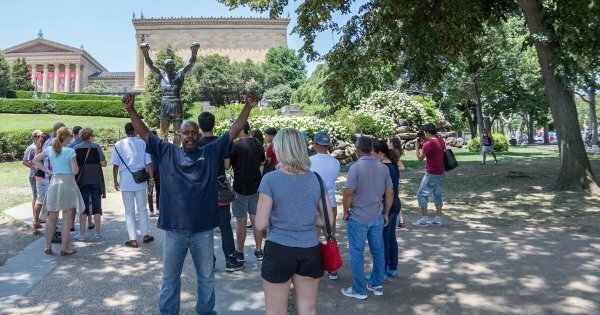 For all film buffs, you have to run up the iconic steps made famous by the Rocky movies when you are on a very popular tour of Philadelphia. The Philadelphia Museum of Art where those famous steps are is only one of hundreds of historic or cultural places to see in the great city of Philadelphia. 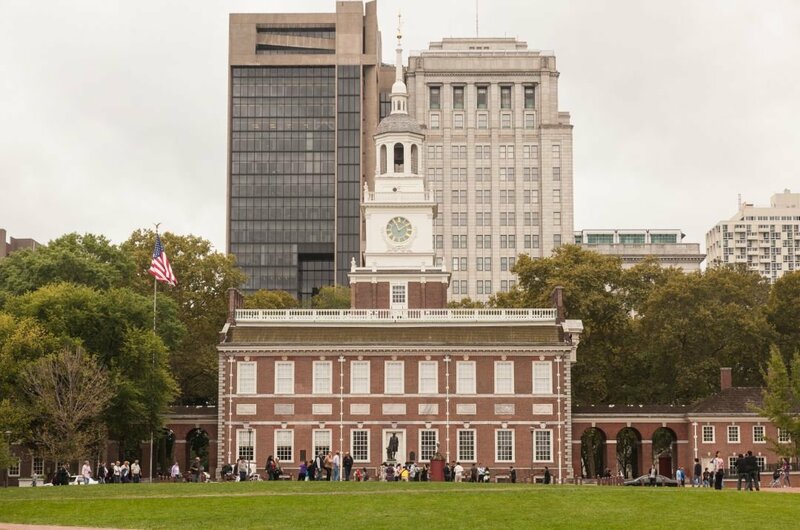 No one should visit Philadelphia and not visit the place where George Washington signed the Declaration of Independence in Independence National Historical Park or learn about the famous founding father of Philadelphia, Benjamin Franklin in the museum dedicated to him. Other interesting or curious places that should be visited is the Eastern State Penitentiary, The Benjamin Franklin Bridge and the United Stated Mint. When you have finished sightseeing such places as the Eastern State Penitentiary, you need to take some time out for fun and laughter. Why not do a spot of hiking the many trails like Manayunk Bridge Trail or Schuylkill River. There is always a spot of walking through the great shopping areas in the city that include Rittenhouse Row, 13th Street in Midtown Village and Old City. It is good to point out that Philadelphia has a statewide law that keeps shoes and clothing tax-free! The worst choice you will have to make is which restaurant to go each night. There are many excellent eating houses that you will not want to leave! 2 Take a guided tour of the Independence National Historical Park and you are in the most historic square mile in America. Independence Hall is where the Declaration of Independence was signed by George Washington on the 4th July 1776 and where the United State Constitution was created in 1787. The first Congress of the United Stated met in Congress Hall from 1790-1800 and the Old City Hall was the seat of the Supreme Court 1791-1800. 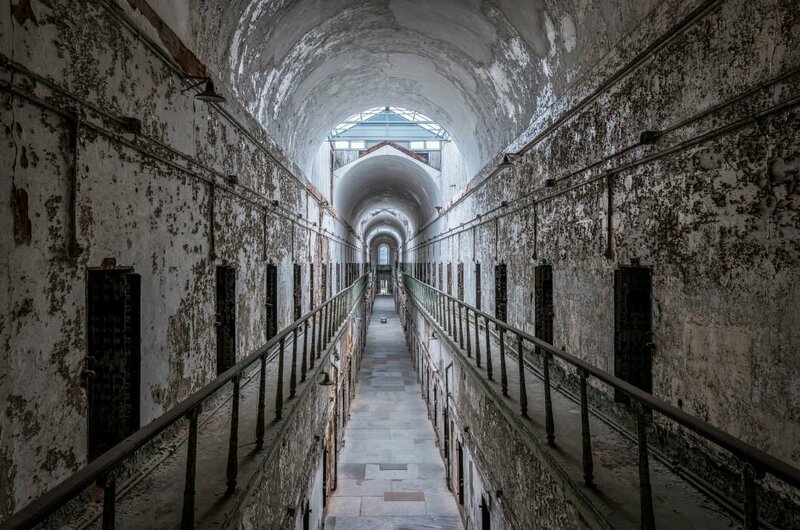 3 Purely for the fascinating history, take a sightseeing tour of Eastern State Penitentiary. It was once the most expensive prison in the world and most famous however nowadays it is a haunting ruin of cellblocks and guard towers. The prisons architecture was stunning and it was well known for its strict discipline. Al Capone and bank robber ’Slick Willie” Sutton are just tow of the many notorious criminals to be guests here! 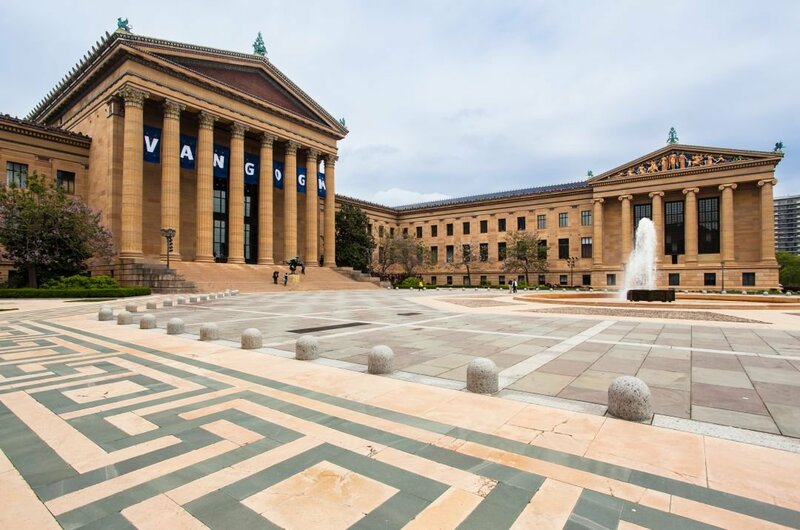 4 Not just famous for its steps that were made famous by the Rocky movies, the Philadelphia Museum of Art contains possibly the largest collections of art in the United States. On a guided tour you will see different themed sections such as the Renaissance and Baroque works and art that has pictures by Van Gogh, Renoir and Degas. Another section is the 20th Century European art that includes works by Picasso and Miro. 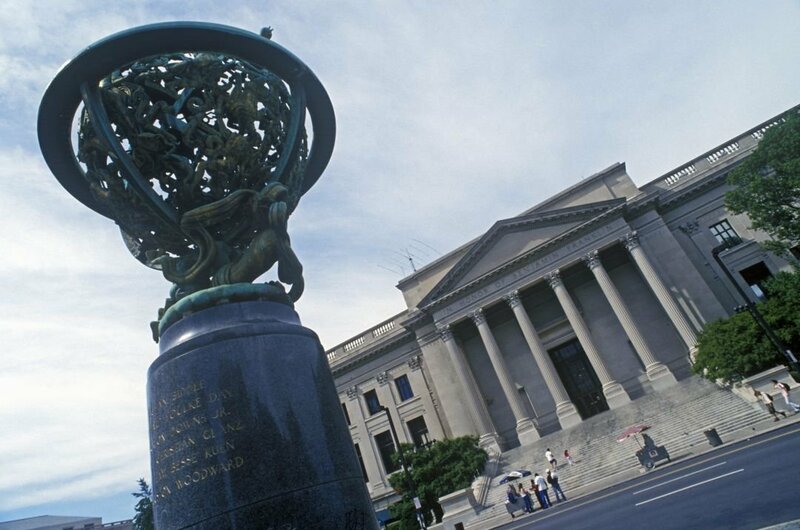 5 As a tribute to Benjamin Franklin’s contribution to science, The Franklin Institute Science Museum was created. On a guided tour you will see a huge marble statue of him seated in one of the large halls. There are several museums all under the one roof covering all fields such as computers, space travel, information technology, oceanography and astronomy. Visitors get the opportunity to try out their own experiments when they come here. 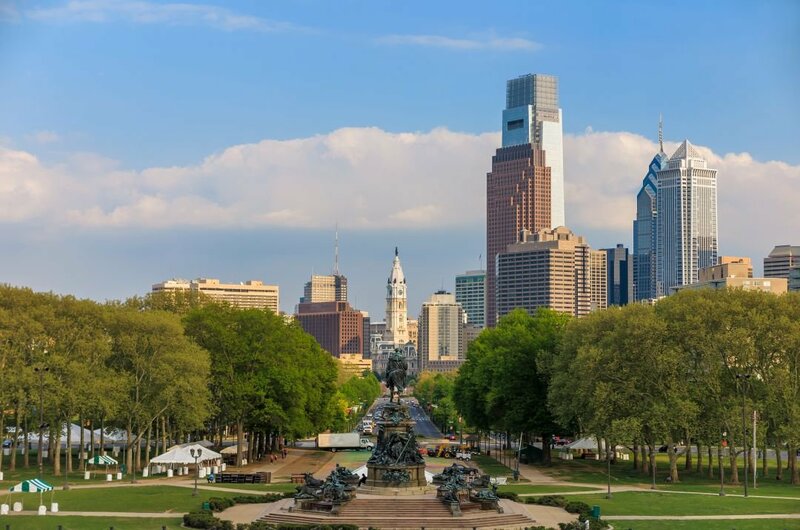 6 While you are on a city tour of Philadelphia, you are sure to venture through the grand tree-lined Benjamin Franklin Parkway. It stretches from city hall to Philadelphia Museum of Art. This parkway is described as Philadelphia’s Champs Elysee. The creation of the Parkway began in 1858 and has continued to grow and renew itself ever since. There are many historic buildings that flank the length and breadth of the Parkway. 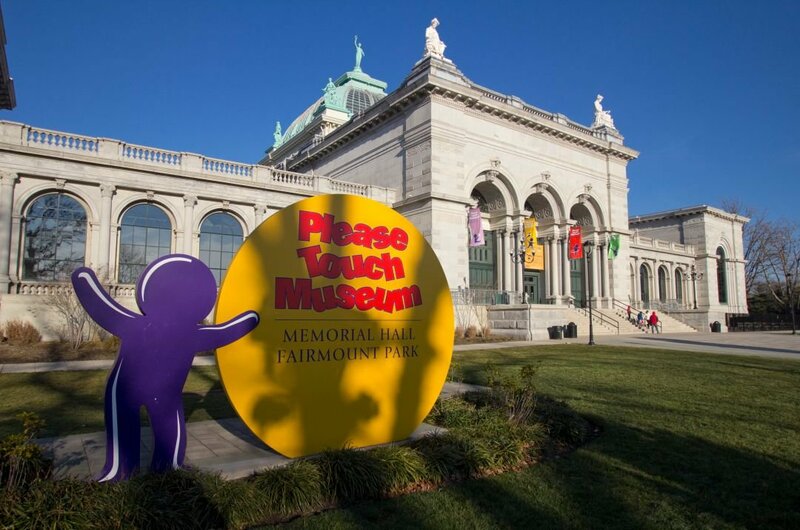 7 When you are in Philadelphia with children, then you should take a guided tour to the Please Touch Museum. This museum enriches the lives of children and creates learning opportunities through the enjoyment of play. There are many things to see and do such as the City Capers which is a construction zone to encourage budding architects or the Please Touch Garden for the budding gardener or environmentalist. 8 A tour of Americas oldest farmer’s market is a must when in Philadelphia just so yo can say you have been there if you do not need to buy anything. 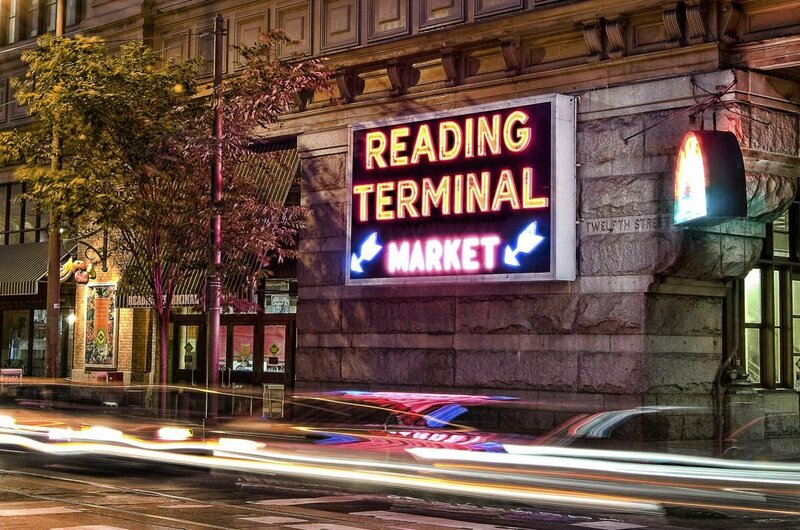 The Reading Terminal Market was established in 1892 and has continued ever since. Local vendors are only too willing over samples of their cuisine cooked there and then. One part of the market is devoted to the Amish merchants and watching their bakers twist and bake pretzels is mesmerising. 9 Another popular place to see on a city tour is the Cathedral Basilica of Saints Peter and Paul. 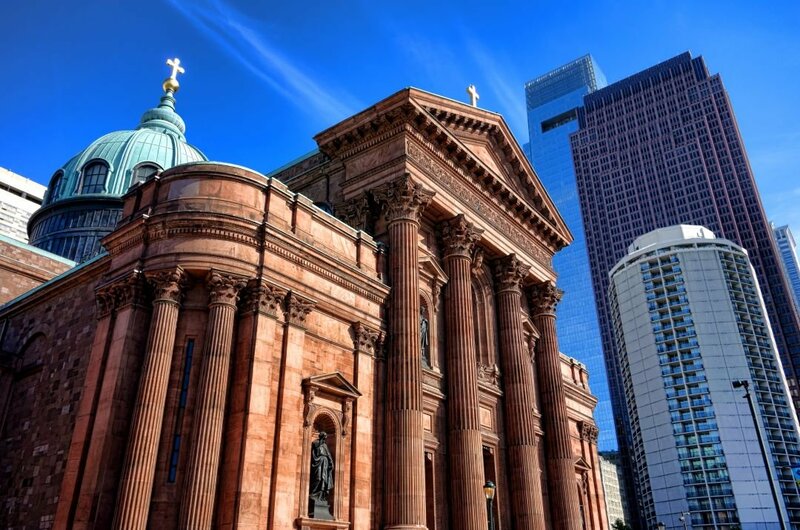 It is the head church of the Roman Catholic Archdiocese of Philadelphia. It was opened in 1864 and is the largest Catholic church in the state of Pennsylvania. Designed by architect Napoleon LeBrun, it is the largest brownstone structure in the city with highly recognisable great dome and huge stone columns. The interior is exceptional too. 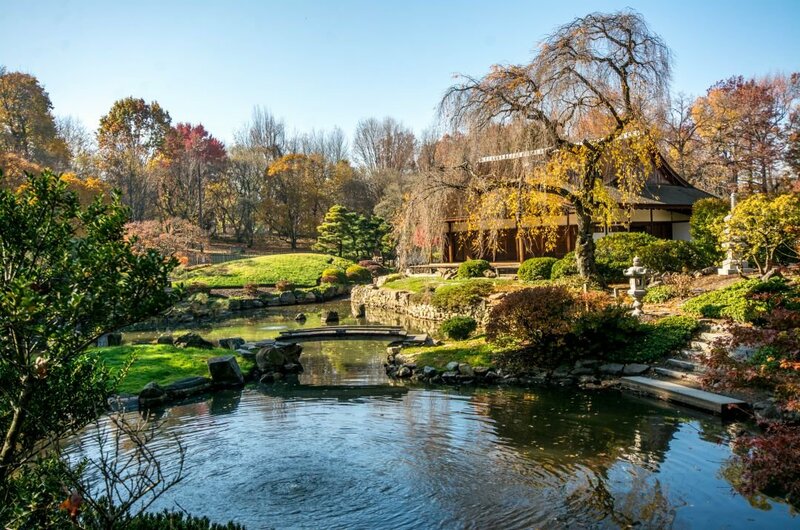 10 If you are taking a sightseeing tour of Fairmount Park, make sure you get to see Shofuso Japanese House and Garden. The traditional values of Beauty, Truth and Goodness are represented by the blend of culture and history here. There is a Japanese structure and landscape that has been here continuously since 1876 when it was just a Japanese Bazaar. The gardens are stunningly beautiful and very serene. The best time to visit Philadelphia is around Spring: May and June or during Autumn: September and October. The weather is not too hot nor too cold during this months and excellent conditions for going on sightseeing tours. These times are regarded as off-peak times and therefore should be a little cheaper. July and August have humidity, high temperatures and is considered peak season due to it being holiday season for schools and colleges. Always do some research before booking any destination, check weather conditions and prices for the time you want to travel. Book any sightseeing tours you wish to go on in advance of travelling; it can work out cheaper the earlier you book. Be careful when walking around in crowded areas of Philadelphia as that is where pickpockets are at their happiest. Never walk alone at night time unless you are very familiar with the area. The climate in Philadelphia is described as warm and temperate with a significant amount of rainfall throughout the year. Even the driest month, February has a lot of rainfall. The wettest month is July, but at least it is hot and sunny as it is also the warmest month of the year. Temperatures peak in July at around 26 degrees Celsius and go as low as minus 2 degrees Celsius in the coldest month, January.